Windows Easy Transfer is the PUP that uses misleading techniques to prevent removal. Use Reimage to locate malicious components and get rid of them faster than with uninstall instructions. A full system scan blocks virus reappearance and prevents traffic to malicious domains. What is Windows Easy Transfer? How can Windows Easy Transfer virus infect my computer? How to remove Windows Easy Transfer virus? Windows Easy Transfer is a rogue anti-spyware that you have to avoid. If you fall for this program, you may loose your money and share your sensitive data with online scammers. In fact, there are two different versions of Windows Easy Transfer. One of them is harmless and can be used for transferring files, such as documents, music, pictures and similar things from old system to the new one. However, there is also a malicious version that can appear on your computer out of nowhere and then initiate various misleading activities. This virus is very similar to Windows Vulnerabilities Rescuer, so as soon as it infiltrates computer, it starts showing its scanners that are supposed to scare people into thinking that their PCs are infected with dangerous programs. After scanning, it displays fake scan results and offers to fix every thing with a help of its license. Beware that this rogue is not capable of detecting viruses. Therefore, the list of programs that this program provides is fake and contains invented files or randomly chosen programs. If you click on 'fix now', 'remove now' or similar button, you will be redirected to its purchase website and offered to buy its licensed version. Of course, you should NEVER pay money for such programs like this one because this may lead you not only to the money loss. By paying for the license you may also expose your credit card details and other sensitive data to online scammers. If the fake version of Windows Easy Transfer has already got inside your system, do not waist time and remove it immediately. Since Windows Easy Transfer is rogue program that seeks to deceive people and steal their money, it is not surprising that it spreads using unfair methods. 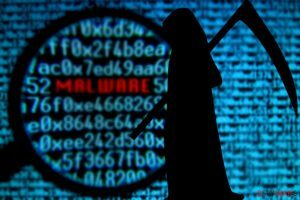 Usually, it spreads via infected websites, fake programs, spam emails' attachments or misleading alerts offering people to check their PCs with a free scanner, update some of their programs, etc. In order to avoid this virus, try to be very careful with games and similar programs because this program has been actively spread via fake game installation files and similar programs. Moreover, avoid spam and ignore all alerts that offer such things as free scanners, free antiviruses, etc. If you receive an email, which seems suspicious to you (you see grammar or typo mistakes, unknown sender, questionable format and so on), never download its attachment because it may contain various infections. Finally, do not fall for fake online alerts that inform you about outdated software and suggest updating it for free. In most of the cases, such alerts are fake and used for spreading various viruses and malwares. If Windows Easy Transfer virus has already infiltrated your computer, follow the instructions below and remove it without hesitation. If you are seeing continuous system scanners, security alerts and similar notifications from Windows Easy Transfer, it's a sign that your PC was infected by rogue anti-spyware. If that is the case, do not wait any longer. Use a reputable anti-spyware and remove Windows Easy Transfer virus for good. For that we recommend using Reimage and Malwarebytes MalwarebytesCombo Cleaner because they can easily detect every hidden component that belongs to this and other cyber threats. Take another computer that is not infected by this virus and download Reimage or Malwarebytes MalwarebytesCombo Cleaner on it. This entry was posted on 2014-09-29 at 03:54 and is filed under Rogue Anti-Spyware, Viruses. You can quickly scan the QR code with your mobile device and have Windows Easy Transfer virus manual removal instructions right in your pocket. How did you remove Windows Easy Transfer virus?